Help, I cannot get addicted anymore!!! A new vaccine against addictions has been developed by a group of researchers at Baylor College of Medicine, Canada. 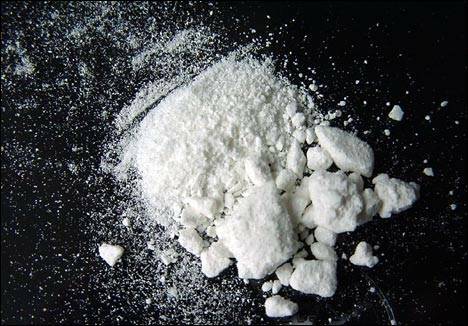 For now, the vaccine only works on cocaine, but promising tests have been made with the vaccine against methamphetamines. The new vaccines not only relieves addiction but also decreases withdrawal symptoms. The way the vaccine works, is that is tries to get the body’s immune system to recognize the drug as foreign and attack it in the blood stream, just like a virus. The process is slow, but the patients do not go through any significant withdrawal symptoms. By injecting the patient with an altered version of the drug, which has been attached to a protein that the body will recognize as a threat, the amount of cocaine that reaches the brain slowly decreases. The cocaine molecules eventually pass through the kidneys and are excreted through the urine. The antibody levels rises, which results that the drug will not reach the brain and the effect of cocaine will diminish. The tests are carried out with cocaine, because of an enzyme in the bloodstream, cholinesterase, that helps break it down. Tests with a vaccine for methamphetamine and heroin are being done in animal studies. A vaccine for nicotine is on the to-do-list.